You might be wondering why a marketing consultant or in-house marketer should track sales metrics. The reason that marketing consultants need to care about sales metrics is to help their companies and clients be successful. In business-to-business, the relationship between sales and marketing is intertwined, so B2B marketers need to pay close attention to sales to ensure their own success. Because a B2B marketer's life is so busy - with multiple campaigns and projects underway in any given week, it can be easy for marketers to get wrapped up in the day-to-day requirements of managing marketing programs. They might even, from time to time, lose sight of the bigger picture. So when a marketing consultant comes along, surely they're just going to talk about the bigger picture being branding, positioning and communications – right? The reality for B2B marketing consultants (those who deal with companies that are business-to-business) is that they have to remember that the bigger picture is revenues and profits. Yes, marketers focus on raising brand awareness and generating leads. And those things are often the metrics that they measure to gauge success. But increasingly B2B marketers need to go several more steps to ensure their work is delivering results. If they don’t, they risk getting lost in the details and losing sight of the bigger business picture. I’ve seen this frequently over the years. There are many companies whose marketing departments focus on the marketing initiatives they’re working on – how many webinars, email blasts, new pieces of collateral and the like. And they haven’t been prompted by their organizations to tie the marketing activities into pipeline metrics and sales conversions for various reasons. (The most common reason for this is that the company doens't have a CRM, in case you were curious). But that situation is changing. More companies are implementing CRM systems and marketing automation systems like Hubspot. As a result, marketing consultants are increasingly being asked by clients about how they will measure marketing ROI. Which sales metrics matter? There isn't a rigid template that every company has to follow. There are over a dozen that we use in various situations. We usually pick 3 - 5 that are going to be best for the specific company we're advising. Some consider this a marketing metric. Whether you call it sales or marketing, it's vital to know how many leads you're dealing with. You wouldn't believe how many companies I've worked with over the years who don't know how many leads they get in a month or year. So even if this seems like a common sense metric, it isn't common practice. Where does your business come from? Again this can fall in the sales or marketing camp. It's a valuable exercise for a company to look at its lead sources on a semi-annual basis (or more depending on the sales cycle). It can be an excellent wake-up call to help identify where the best opportunities lie. Do you know the expression, 'What gets measured, gets done'? There's no more galvanizing metric than revenues to help a sales team focus on how things are going, and whether they need to step up. I'm also a fan of visual reporting, so putting a visual representation somewhere in your office that the sales team will constantly see. If your company doesn't openly report on revenue, you can do an alternative to this like Number of New Clients. Does your company sell multiple products or services? Chances are good that some of the solutions you sell are at higher margins than others. So it can be important to report on how much of each, rather than just the total. This makes sure your team focuses on the products and services that might be harder to sell, but deliver better profits. Are you bringing in tons of leads and none of them are converting? Or are you bringing in just a handful of leads and are very effective at converting them? Often there's a tie between the source of a lead and its conversion rate (referrals convert better than web generated leads, for example). Tracking the conversion rate can help you identify where you need to focus your marketing efforts - maybe it's more lead generation, maybe it's better conversion. How many new deals did you close in your last week, month or quarter? This metric will give you an overall sense of momentum and effectiveness. Is your sales team responsible for 'hunting' (finding new customers) as well as converting leads into deals and farming for new opportunities among existing customers? Tracking how many outbound calls they do in a week is essential to ensuring they execute this often-unloved task. Most B2B companies need face-to-face meetings to secure a deal. So reporting on how many face-to-face meetings happen in a given week or month is a good indicator of what's coming down the pipeline in the month and quarter ahead. It's an important stepping stone in the B2B sales process. As a B2B marketing firm, we know that The Mezzanine Group plays a critical role in our client’s revenue and profit growth. Taking an interest and ownership role of metrics makes us better marketers, gives us greater insight into the companies we work with, and ultimately uncovers opportunities for future growth. 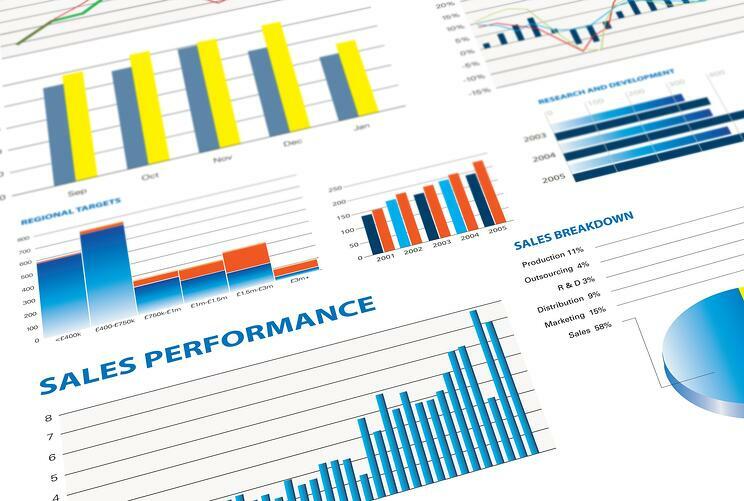 We think all marketing consultants and companies should focus on sales metrics.